An audit trail can be the deciding factor between a valid and invalid electronic signature document. Going by the actively surging electronic signature adoption rates and growing number of online businesses, there’s no arguing that eSignatures are here to stay. Since eSignatures are soon to be the new normal, we thought we should discuss what an audit trail is and why it’s an important part of an electronic signature. You may be familiar with the difference between electronic signatures and digital signatures, in case you’re not, an electronic signature is information in electronic form (can be sound, symbol, process, etc.) that is associated or attached to a document. This means that as long one can demonstrate that the signature is associated with a person and that there was intent to sign, everything is legally binding and accepted. A digital signature is actually a form of electronic signature that uses an encryption algorithm that helps validate who the signer is. It also ensures that the document cannot be tampered with, as the signature becomes invalid if the document is changed after signing. 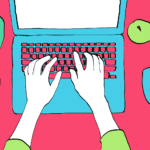 You can read about the differences between electronic signatures vs. digital signatures here. Now that we have covered the basics, let’s get to what an audit trail is and why it plays an integral part in the process of validating of a document. In other words, an audit trail is a detailed list of critical data points, pertaining to the transaction, that are recorded and reported. These data points help verify the validity of the transaction. In terms of Electronic Signatures, an audit trail helps keep track and reports user data, furthering the validity of the signature process. 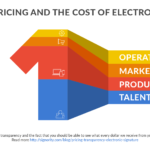 Most, if not all serious eSignature vendors out there — including Signority — provide an audit trail with every electronic signature transaction. For the sake of avoiding any form of confusion, let’s go over what these components mean and what value they add to the entire electronic signature validation process. A unique document title is the unique file name of the document that was originally created by the document creator. The unique document name can be found in the first page of Signority’s audit trail. 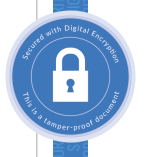 The secured seal is native to Signority’s digital signatures audit trail, the Secured Seal is both “Tamper-proof” and “Digitally Encrypted”. Meaning that, if the audit trail document was tampered with or edited in a third-party software such as Adobe’s Photoshop, the seal would immediately break and be considered invalid. Signority’s Secured Seal is only available with our digital signature plans. In order to make digital signatures available to our customers, we use a Hardware Security Module (HSM) provided by GlobalSign to help store and manage the digital keys used in the digital signing process. 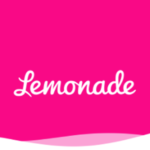 Want to know more about digital signature? Check out our post on the difference between electronic signature vs. digital signatures to learn more! The audit trail records and displays the email addresses of all parties involved, which can be either signer or viewer. 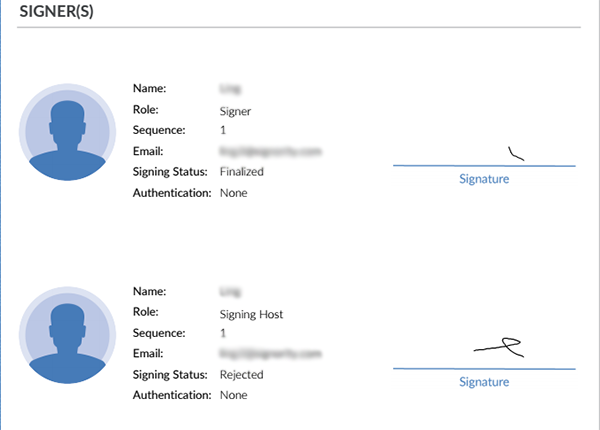 Signer: Signers’ are users who are required to sign a particular document. A signer could be a primary signer or a witness. Viewer: A viewer is a user with view-only capabilities. In terms of Signority’s audit trail, the IP address associated with a particular signer or viewer, at the time of viewing the document is recorded and reported — adding an extra layer of validity to electronic signature documents. The Documents viewed by the signer or viewer is displayed in the name section in the Audit trail. The audit trail also displays the exact time the document was viewed. At Signority, every document created is assigned a Globally Unique Identifier and can be viewed in the audit trail. 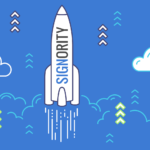 cSigners consent to use terms of service, refers to the signer or viewer agreeing to abide to the rules in order to use services provided by Signority. Verifying the identity of a user before granting access to secured information is the main intention of the User Authentication feature. With Signority there are two additional methods that can used to verify signers and viewers — i.e. SMS and email — when email and /or SMS password authentication is turned on by the user, Signority sends a randomly generated unique code to the recipient. The code is required to access the document. The type of user authentication used is displayed in the “Authentication” section of the Signority’s Audit Trail. The Signature Creation section is a critical component of the audit trail, it is the original signature of the required parties. Once the document is finalized by all of the signers, all parties involved are notified via email with an attached copy of the finalized document for safe keeping. The signers status reflect the final action taken by all required signer’s, the status can be: “Rejected”, “Waiting to Open”, “In Progress”, “Finalized and “Viewed” — depending on the action taken by the signer.